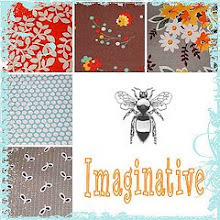 Earlier this summer I pulled out this stack of fabrics that included a bunch of neutrals with some pops of color – hot pinks, bright yellow, a bit of peachy orange and a few shades of blue. I had plans to make something else with those fabrics, but the blocks took far too long to complete and I really needed something faster. 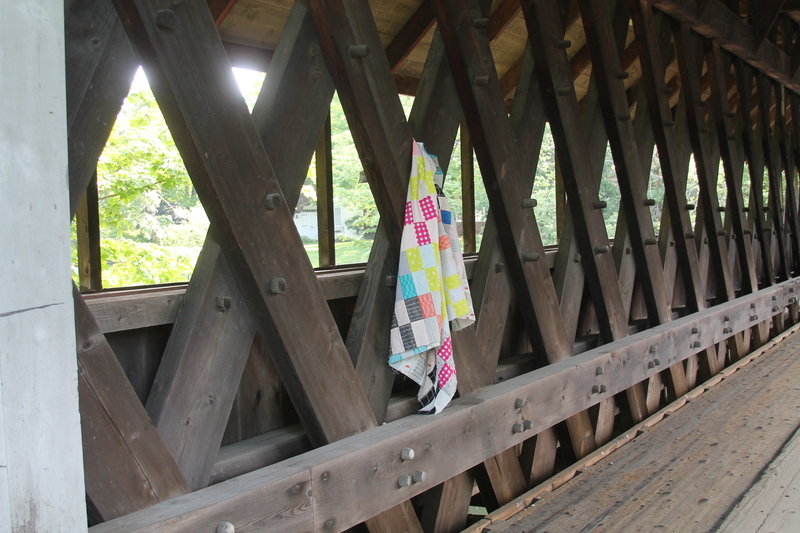 So of course I immediately thought of my 2 x 4 pattern! It’s a super quick one, yet still fun and satisfying to put together. As an added bonus, I think it looks wonderful with any and all fabric combos! Interestingly enough, despite making many quilt tops in this pattern, I have yet to actually complete one! Maybe this one will be the one! 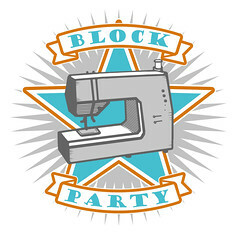 This entry was posted in Fabric, Posts about Quilts, Quilts and tagged 2 x 4 quilt, handmade, quilt top, tutorial. Bookmark the permalink. 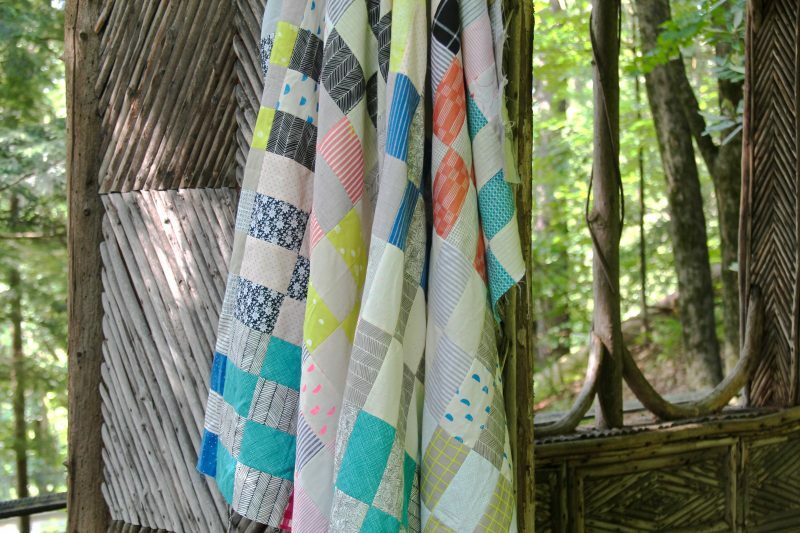 So good to see your quilts. Beautiful backgrounds. Beautiful job! And I like your photo shoot. 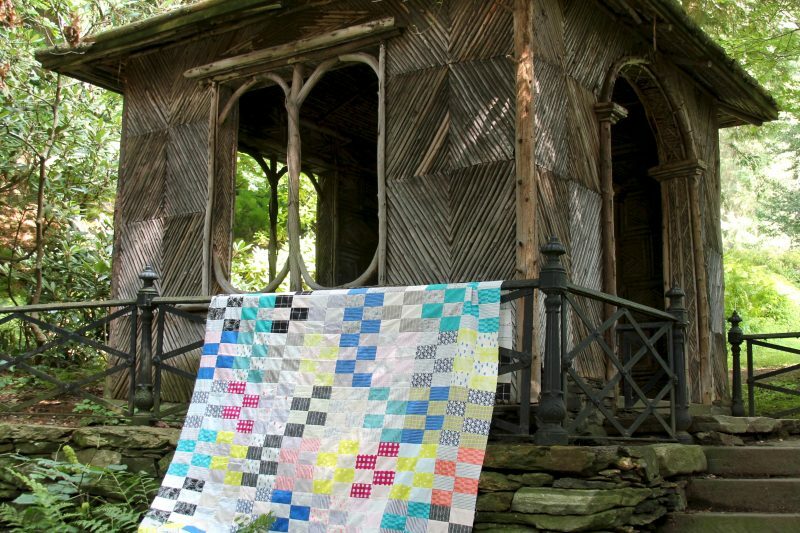 Wonderful quilts and a stunning location. What great pictures! I love your 2×4! I made one that is living on my kitchen table as we speak! Happy Labor Day! 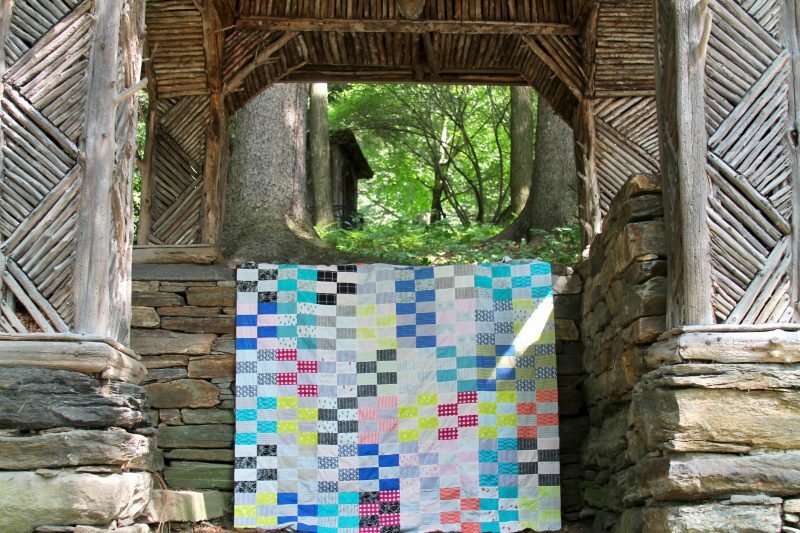 it’s a really nice version of this quilt. I love the red check and how it pops out. If you don’t finish them, what do you do with them? Great quilt! What is the story on the building? You stage and take wonderful photos. 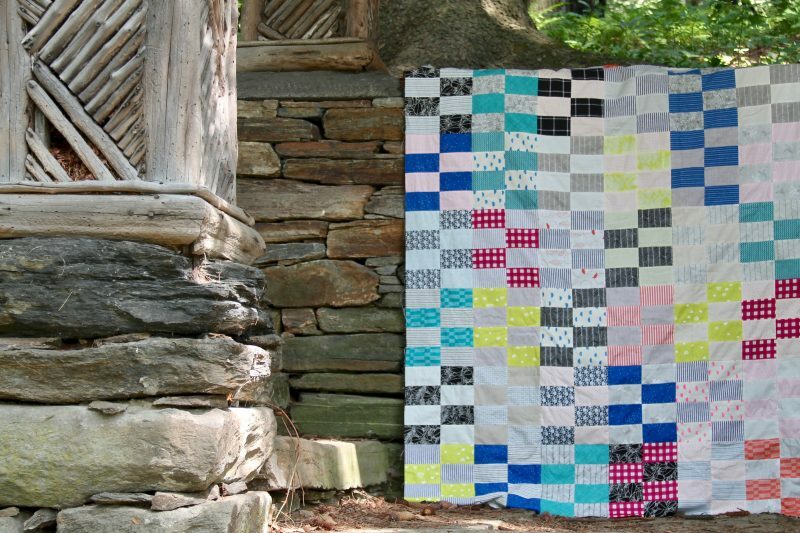 Love this quilt pattern. But have to comment on the setting of your photo… I work at this site… VT’s only National Park. I walk through this little summer house everyday on my way to and from work. 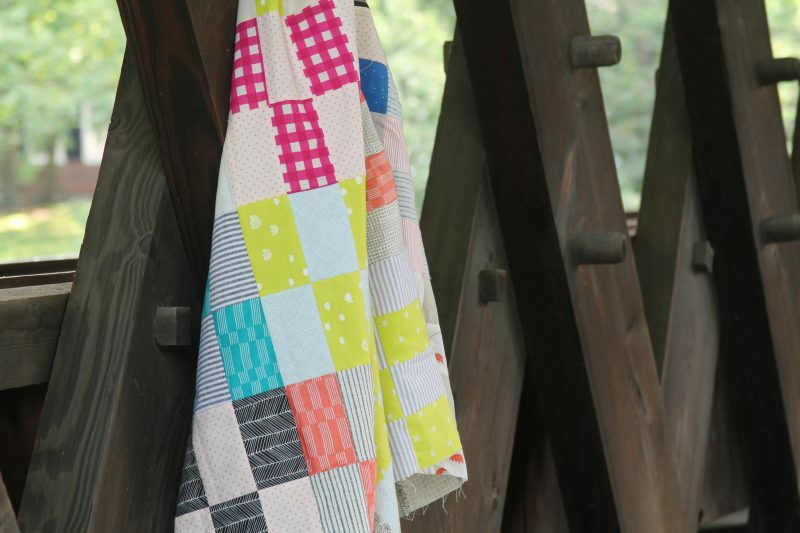 How fun to see your lovely quilt pictured there. Beautiful! I love this pattern, thanks so much for making it available. I’ve made quite a few and it is hard to say which is my favorite as they each have a different personality. So many patterns feel repetitive when you make multiples, but I will never tire of the 2×4.